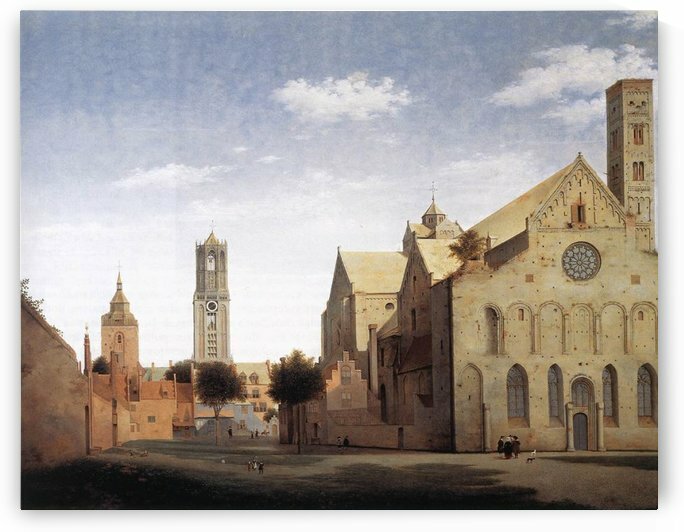 Pieter Jansz. 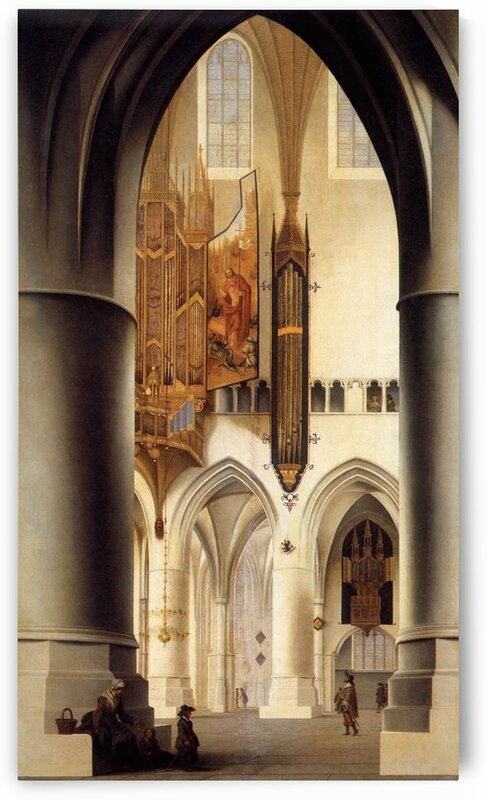 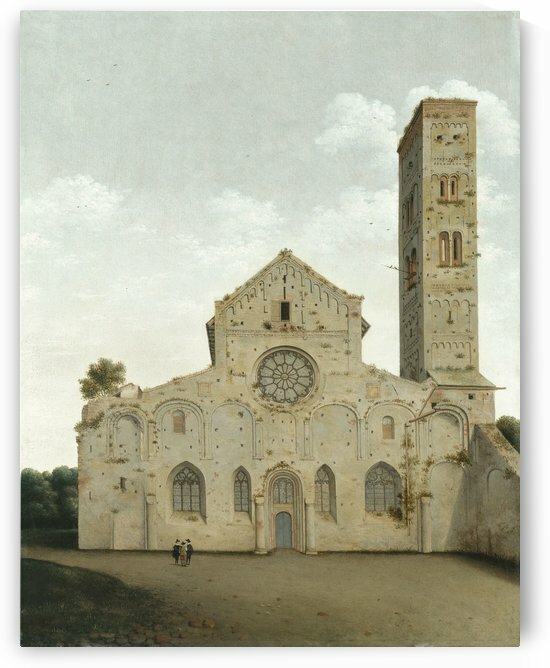 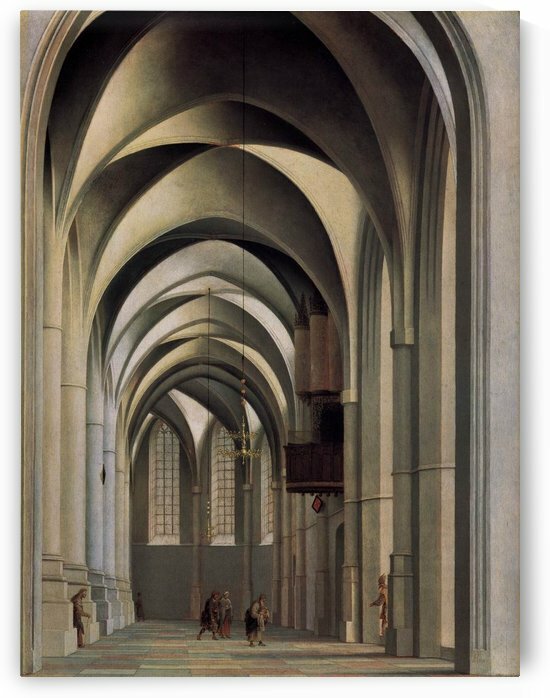 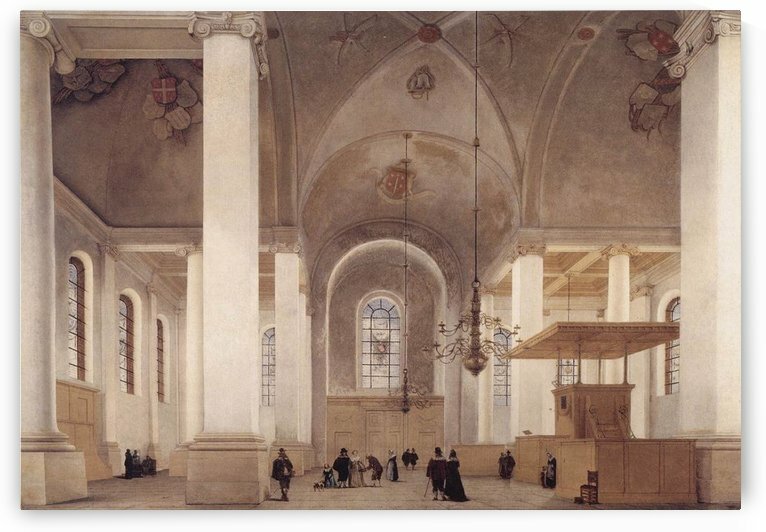 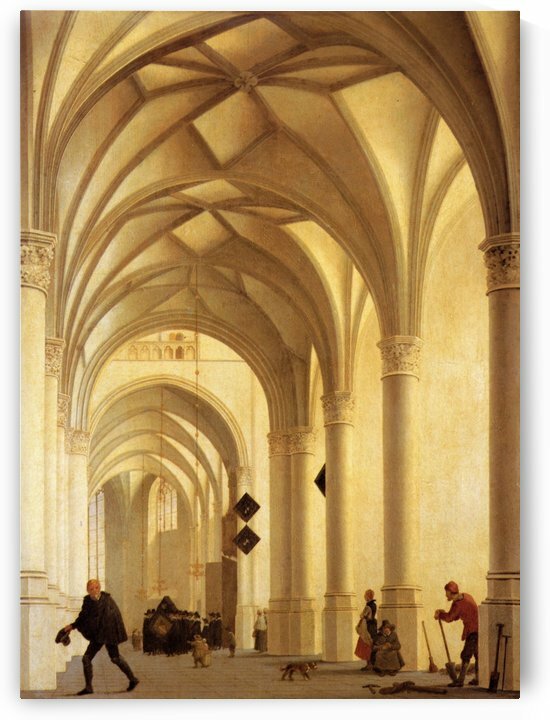 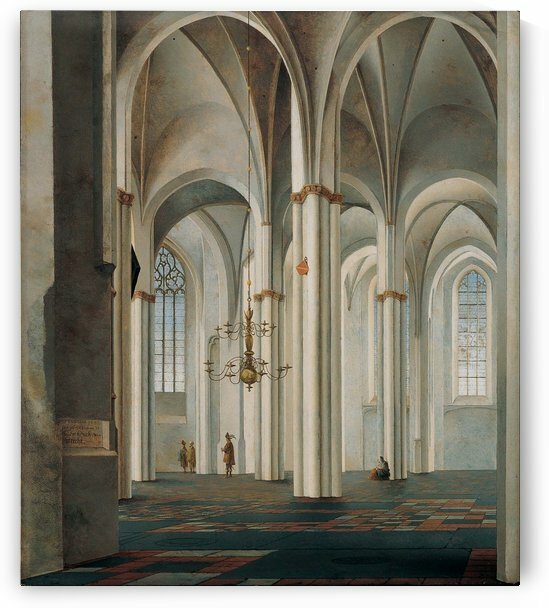 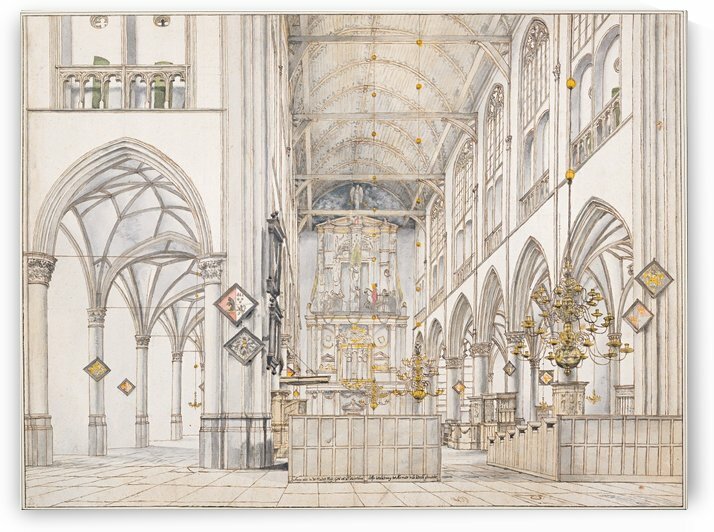 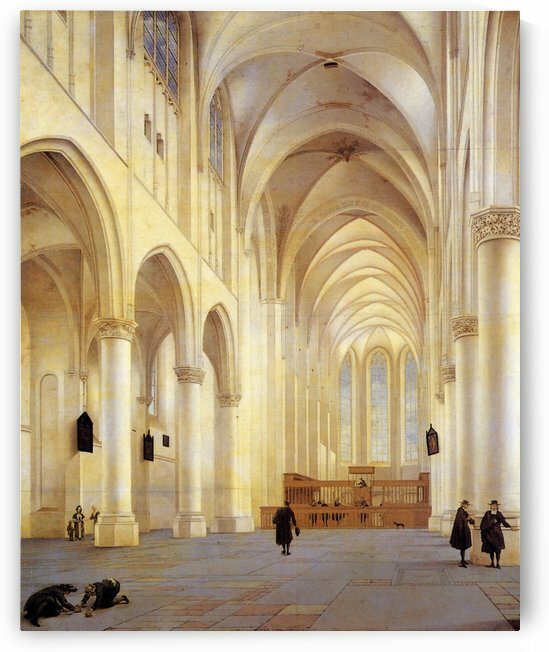 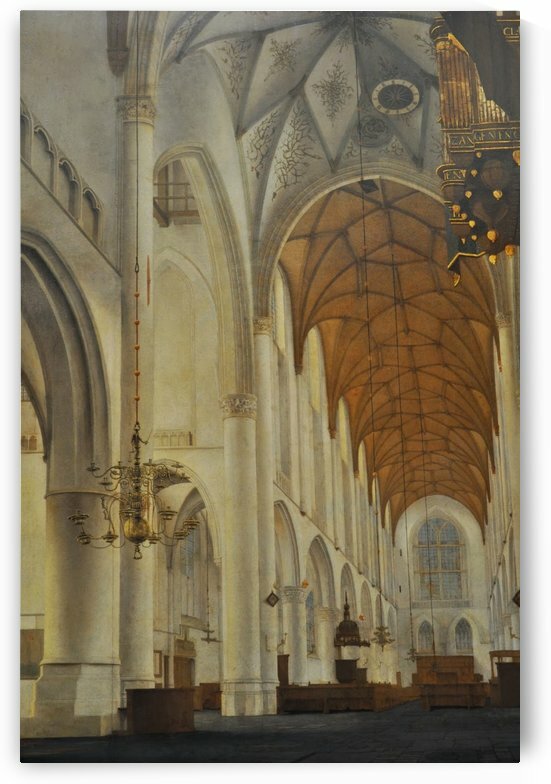 Saenredam (9 June 1597 - buried 31 May 1665) was a painter of the Dutch Golden Age, known for his distinctive paintings of whitewashed church interiors. 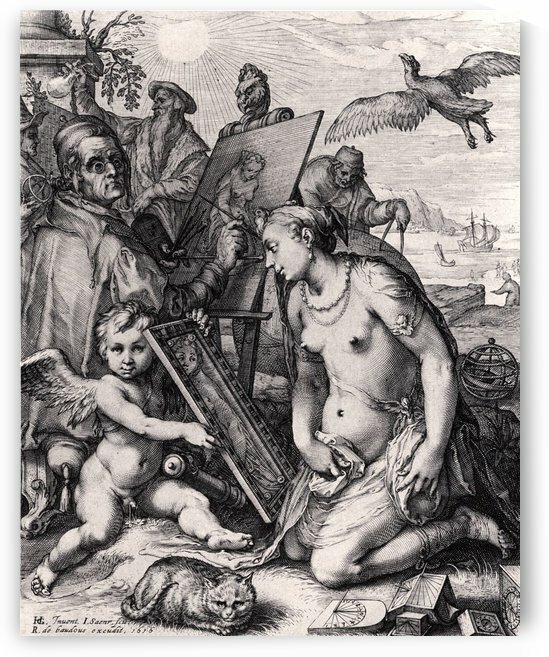 Saenredam was born in Assendelft, the son of the Northern Mannerist printmaker and draughtsman Jan Pietersz Saenredam whose sensuous naked goddesses are in great contrast with the work of his son. 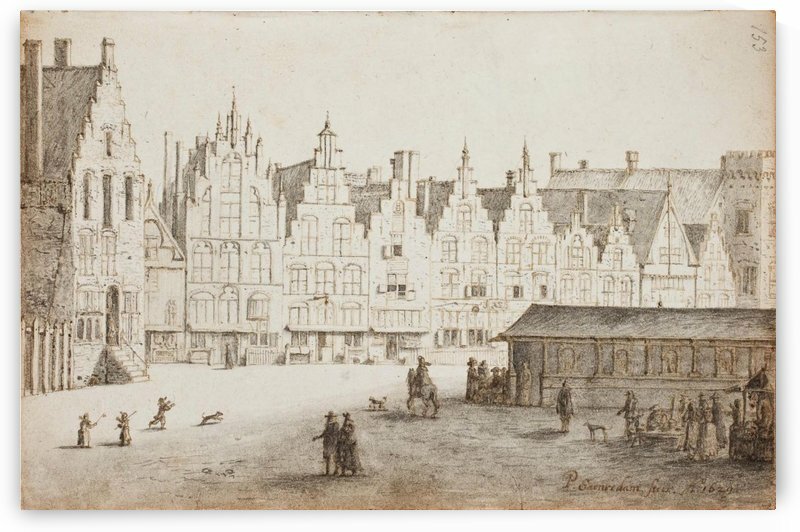 In 1612 Saenredam moved permanently to Haarlem, where he became a pupil of Frans de Grebber. 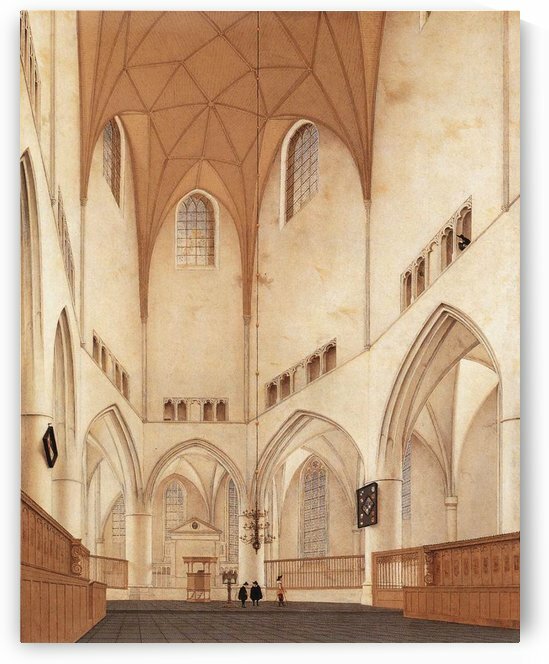 In 1614 he became a member of the Haarlem Guild of St. Luke. 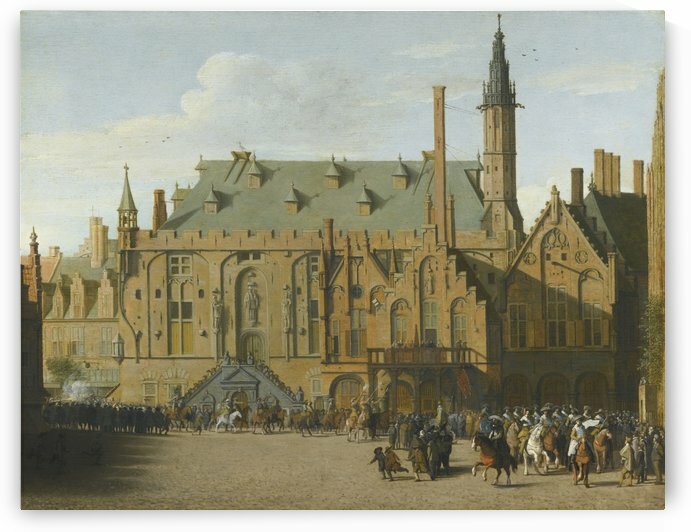 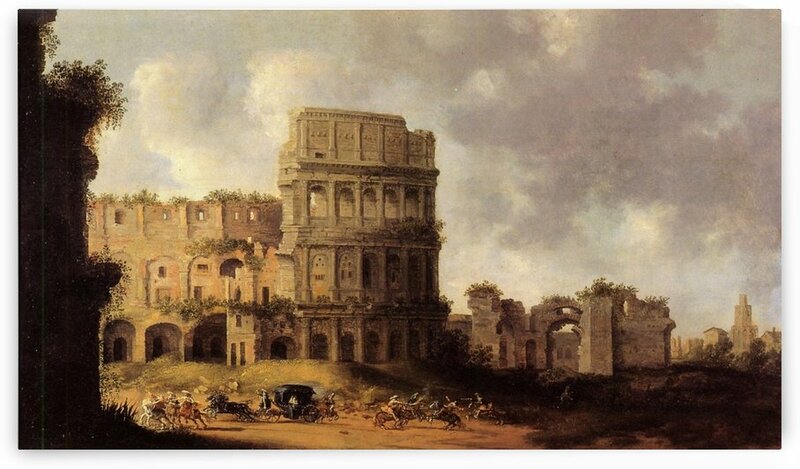 A painting in the British Museum by his friend Jacob Van Campen shows him to be very short and hunch backed. 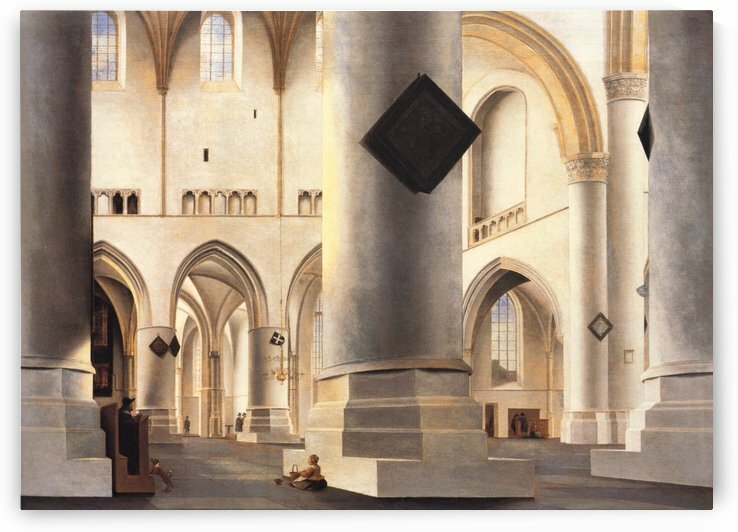 He died in Haarlem. 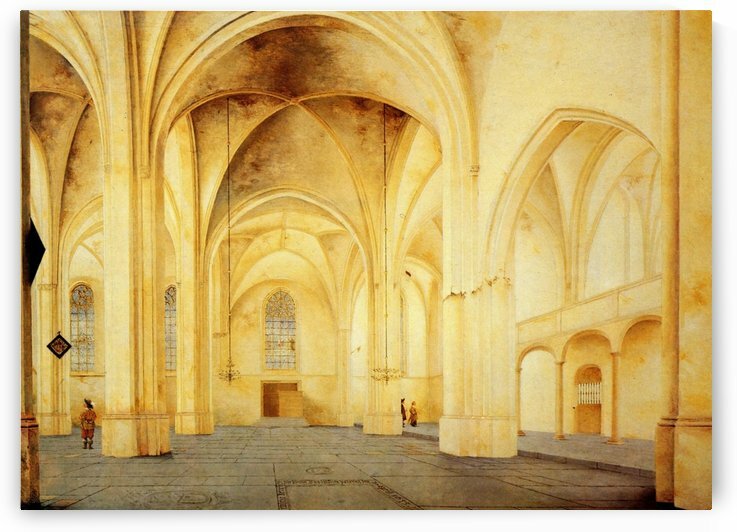 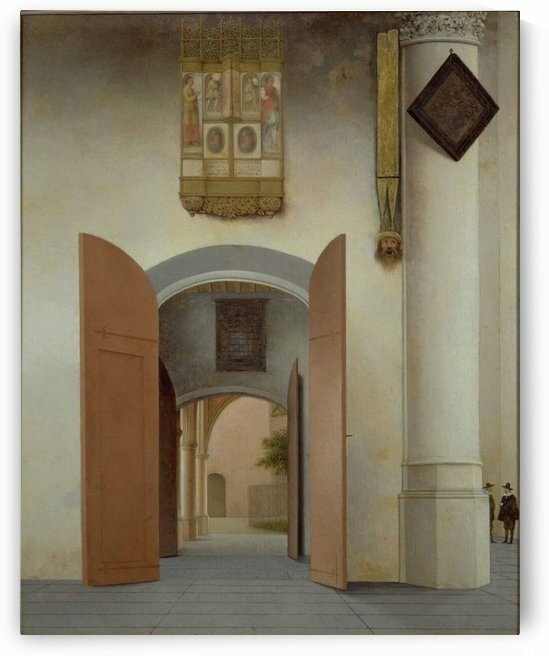 Saenredam specialized in the representation of church interiors. 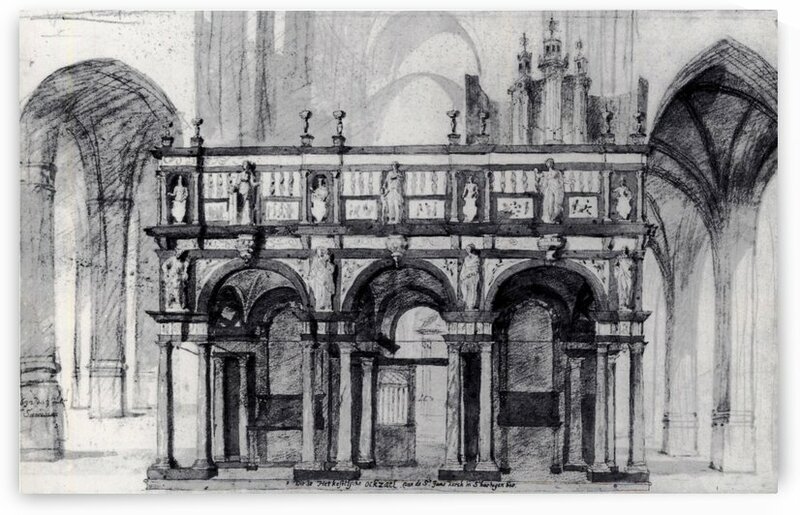 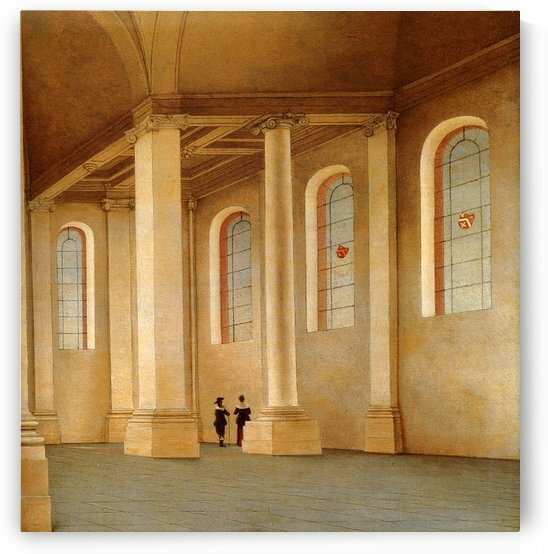 These pictures were based on precise measurements of the building and meticulously-rendered sketches, done on site, in pencil, pen, and chalk, after which washes were applied. 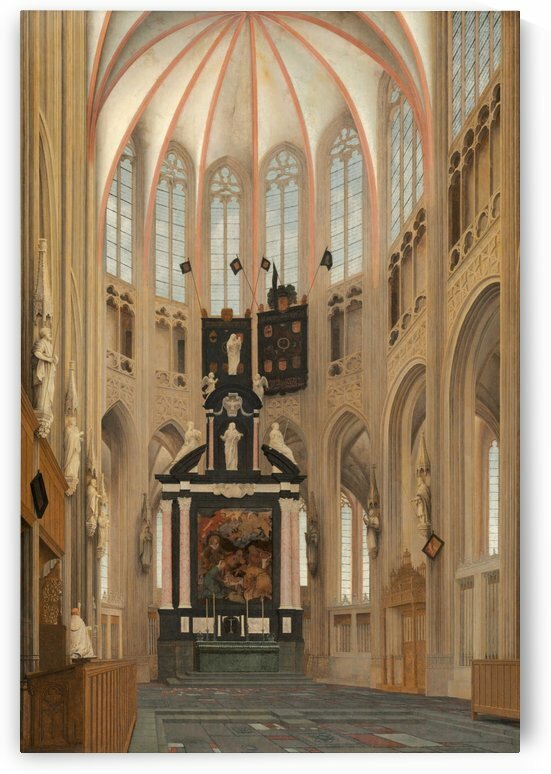 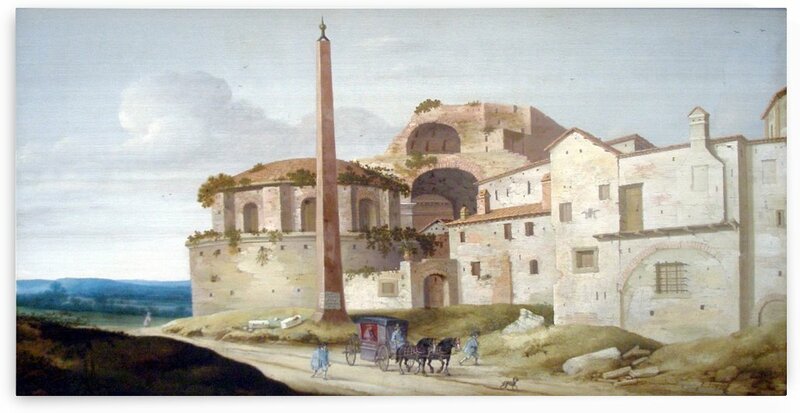 Painting took place in the studio, often years after the studies were made.